There are a plethora of reasons why you should live in West Palm Beach, Florida. From their exotic attractions to their tons of beaches, West Palm Beach has innumerable offers that supersede many other major cities. The following includes ten reasons why living in Palm Beach is the way to go. These reasons are just a snippet of all that this city has to offer. 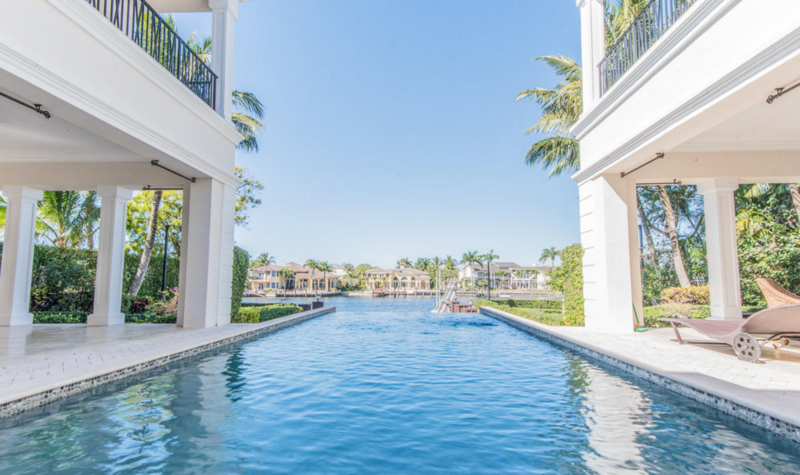 Otherwise, it will behoove anyone in the market for real estate Palm Beach to contact a reliable, trustworthy, and experienced realtor like no other. With there being so many Palm Beach realtors around, it’s easy to get confused and possibly not choose the right one for you. 1. Friendly Job Market– this city’s growing job market has been so amazing that it’s been in the headlines. 2. There’s no state income tax– so pretty much the rest of the paycheck is yours with the exception of the federal income taxes. 3. They have excellent schools– their school system ranks the 11th largest one in the country. They have 185 schools. 4. This is considered a big little city– this city is not overly congested where you will feel overwhelmed among a massive sea of people. Yet, it’s not so small where everyone will know everyone else and their business. The population is around 100,000. Also, it has the comfort, peace, and tranquillity of a small city that is not too far away from stores, restaurants, cultural activities, art centers, museums, beaches, nightlife, and more. 5. They take public events seriously– these events are a joint initiative between the public culture, civilians, and local government. Some of their huge events include the Clematis by Night, the 4th on Flager, and the Holiday in Paradise. The Clematis by Night features several local eateries’ offerings, local artists concert series, and happy hour by the waterfront. There are also events for children. The 4th on Flager is an annual 4th of July bash, and the Holiday in Paradise is a Christmas event including a snowman building, a dance troupe, a huge Christmas tree made totally out of sand, and more. 6. It is near major cities– It’s two hours away from Key Largo, an hour and a half away from Miami, and an hour away from Fort Lauderdale. It’s also two and a half hours away from Orlando. 7. Its Gulfstream weather is beneficial– with its warm underwater river from the Gulf of Mexico, the local climate is granted with cool evenings after the afternoon rain and granted balmy winters. Atlantic coastline is allotted, thus causing this city to have several public beaches available. 9. This city is the global golf capital– it contains the PGA headquarters, and numerous events and tournaments are held throughout the year. Also, for those wanting to play golf, West Palm Beach has the most golf courses than any other county in Florida. 10. They have the cutest zoo ever– even though the zoo is small, it offers spectacular glimpses of wild local, such as alligators, river otters, Florida panthers, tigers, monkeys, jaguars, and more. The Palm Beach Zoo also provides a lush tropical canopy to keep you shaded and cool throughout your visit. When it comes to real estate Palm Beach, look no further. At www.re-in-fla.com, we have you covered. We are experts specializing in real estate in the Palm Beach area, and we have been doing this for over 25 years now. Also, being family-owned and operated, we care and support our clients when it comes to all the particulars of real estate, such as finding the right home that’s near the right school for your children. Not all Palm Beach realtors can honestly say that. We know the ins and outs of real estate here in Palm Beach, the schools, events, and more. And regardless if you are looking for a vacation spot or looking to live here full-time, we have you covered in those regards also. We can help you find that right home for sale Palm Beach just right for you and your loved ones. We are here to assist you every step of the way to obtain the particular home for sale Palm Beach. So, contact us today. You will be in good hands with us, and our track record speaks for itself.